Powerhouse blogger and online phenomenon Tess Masters, AKA The Blender Girl, offers up more incredible vegan and gluten-free recipes that help you lead a vibrant healthy life in The Perfect Blend. Buy it on Amazon.com or BarnesandNoble.com today! The pleasure in every blissful bite is so worth the hour-of-prep pain. 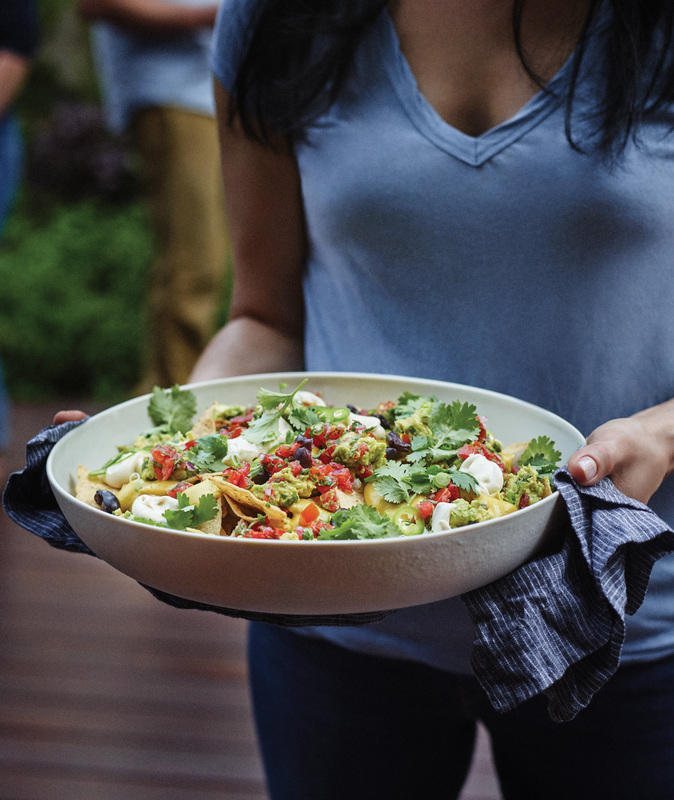 To simplify it all, make the cheese, sour cream, and beans a day ahead, then throw together the pico, guac, and toppings right before serving. I load my nachos up with olives, jalapeño, and cilantro. The base is so rich and cheesy, dairy devotees will dive into these with reckless abandon any way they can. To make the pico de gallo, toss all of the ingredients together in a bowl and tweak the flavors to taste. To make the guacamole, mash the ingredients together in a bowl to a rustic consistency and tweak flavors to taste. Top with the green onion and the olive, jalapeño, and cilantro boosters. Serve immediately, and pass extra corn chips and the remaining sour cream at the table.